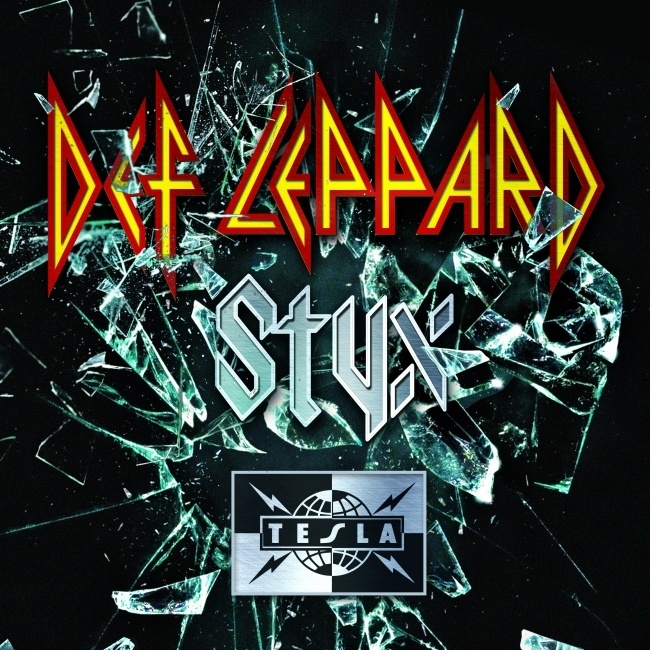 Def Leppard today announced 13 new tour dates for 2016 with Styx and Tesla in support. The dates were mentioned a few days ago as a possibility by Vivian Campbell and have now been announced in full. The first show is in Greensboro, NC on 27th January. The last of the 13 dates takes place in Allentown, PA on 17th February. These are the first dates of the 2016 tour in support of the new studio album. Vivian suggested a few days ago that the band would not be touring in March, April or May 2016. Another US Summer tour has been mentioned already and Joe is currently telling audiences the band will be back next year at the end of current shows. Tickets go on sale from 20th October. The band will visit Lafayette, LA for the very first time. View all the dates below. Visit the 2015 Tour News section. For more news on future tour plans. Last played on 27th March 2008 during the Songs From The Sparkle Lounge tour. Last played here on 9th August 2012 during the Rock Of Ages tour. Last played as TD Waterhouse Centre on 5th November 2006 during the YEAH! tour. Last played on 24th September 2011 during the Mirrorball tour. The first visit to this city and this venue. Last played on 28th May 2003 during the X/Ten tour. Last played on 30th July 2008 during the Songs From The Sparkle Lounge tour. Last played as the Alltel Arena on 30th October 2006 during the YEAH! tour. Last played on 15th November 2006 during the YEAH! tour. Last played on 5th July during the current 2015 world tour. Last played on 2nd August 2014 during the Summer Tour 2014 with KISS. Last played on 9th July 2005 during the Rock Of Ages tour with Bryan Adams. First time at this venue. Last played on 1st September 2015 at The Great Allentown Fair. Their first show here outside of this event.